JPMorgan Chase boss Jamie Dimon caused quite a stir with his recent remarks in a conference call. His suggestion that current politics made it “almost an embarrassment” to be an American citizen saw him branded unpatriotic in some quarters. In fact, his outspoken comments would have come as no shock to followers of his LinkedIn blog. There, Jamie has long been delivering blunt verdicts on everything from the skills gap to the plight of unemployed veterans. In each case he also set out what JPMorgan Chase plans to do about these issues. He’s far from alone. Many big financial brands now recognize the value of having their senior executives share opinions on social media. The most successful are those who go beyond flexing their intellects and reveal some of their personality – who are able to connect in a direct, human way. Besides Jamie Dimon, they include ex-PIMCO CEO Mohamed El-Erian, who blogs on market issues for LinkedIn and Bloomberg (and who rode to Jamie’s defence in the recent controversy). 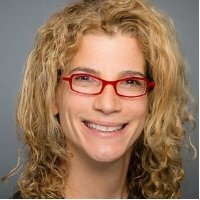 Leaders like this are at the forefront in demonstrating one of the pillars we at LinkedIn see as crucial to cementing bonds of trust with your customers: that is, communicating with a human voice. It shouldn’t be a surprise that business leaders are people with strong passions. Like employees in many organizations, I can see the emotion in our CEO when he talks about our vision: I know it matters deeply to him. What’s rarer is the ability to expose that passion to the wider world. It’s critical to remember, though, that top execs alone cannot carry your message to the public. 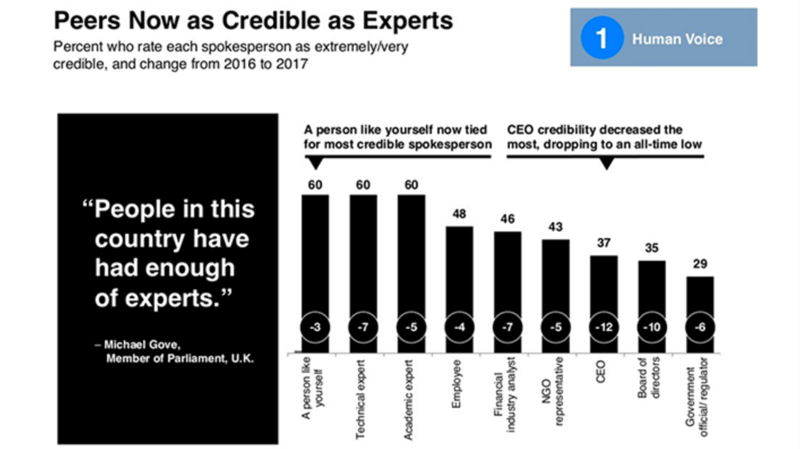 That’s especially true given the widespread breakdown of trust spelled out in Edelman’s latest Trust Barometer. Edelman found CEO credibility at an all-time low. 60% of us are now as likely to trust “a person like ourselves” as a technical or academic expert, while 55% put more faith in individuals than institutions. That puts employees in the strongest position to reach people outside the organization. And here, financial brands have a strong advantage. How can these advocates be empowered to communicate in a way that fits the brand values? Brands such as HSBC, Bank of Ireland and ANZ Bank have found an effective vehicle. They’ve adopted LinkedIn’s Elevate tool. It gives corporations the ability to provide employees with pre-approved content, so they can share and communicate what matters to them via social platforms. Critically, brands are able to track their results, to see how employees’ sharing drives business metrics. Visa has used Elevate to position itself as an industry thought leader. Since the business launched the tool, participating US employees are sharing content five times more frequently than before, driving three times more views and four times more followers of company pages. As a result, Visa is rolling out Elevate to the entire organization. This kind of channel may be one way to break through the clouds of suspicion that currently surround our institutions, by offering an insider’s insight on a brand. For more tips on how you can infuse trust and authenticity into your brand, subscribe to the LinkedIn Marketing Solutions blog.